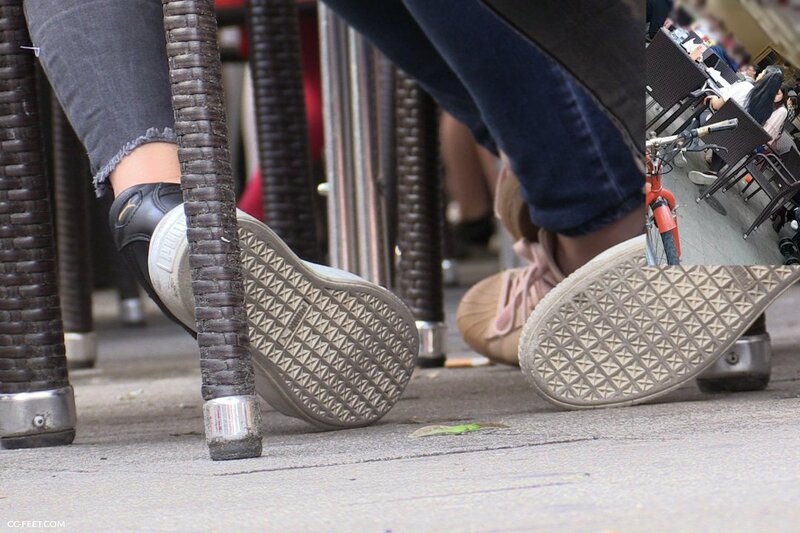 See for yourself, how often do you pull off your sneakers in cafés or restaurants? If the girls get rid of their sneakers, the shoes lie aside and the girls are airing out their feet with no shoeplay It’s driving me nuts these weeks. I stumbled upon this black haired girl in the last days. She sat down and kicked one of her Puma sneakers off, too fast for my camera. So I captured her when her foot was resting half in her shoe. That’s where the story ends. This is not a very good shoePLAY clip, unfortunately. A little bit of dipping, wiggling her heel from left to right and softly crushing the back of her sneakers. Eventually she left the scene and came back, but with the shoe on. So I stopped recording and went away.